New York (TADIAS) — Amnesty International USA (AIUSA) is hosting a conference next month in New York City focusing on the state of human rights in Ethiopia. 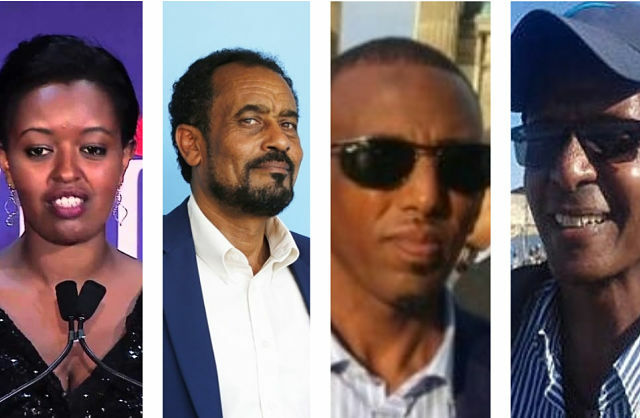 Among the main speakers are recently released former prisoners of conscience including journalist Eskinder Nega, opposition party leaders Bekele Gerba and Andualem Aragie as well as Zone 9 blogger Soliyana Shimeles and other civil society leaders. The conference, which is set to take place on June 8th at the New York Ethical Society in Manhattan is organized by the Bronx chapter of Amnesty International USA in collaboration with a coalition of US-based Africa Diaspora associations. 1. ESKINDER NEGA, recently released former prisoner of conscience and journalist. 2. Dr. BEKELE GERBA, recently released former prisoner of conscience, one of the leaders of the Oromo Federalist Congress, English Professor at Addis Ababa University. 3 ANDUALEM ARAGIE, recently released former prisoner of conscience, Vice President and Press Secretary for the Unity for Democracy and Justice Party (UDJP). 4. Dr. AWOL ALLO, lecturer at Keele University in the UK. He also taught at the London School of Economics and Political Science (LSE). Dr. Awol has published many academic articles in reputable journals. He has been a frequent guest analyst on the mainstream media like the BBC and Al-Jazeera on issues related to Ethiopia and Horn of Africa.